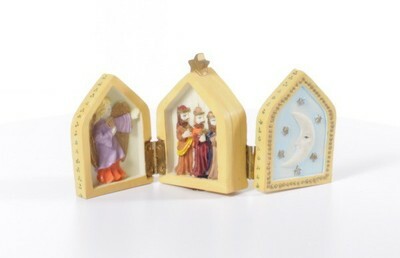 Hand painted, resin hinged triptych that resembles a stable. When closed one side features a moon, while one side features a star. Three wisemen, an angel, and the Holy Family make up the panels. Overall the set is in good condition.